With the plentiful rainfall that we received this spring a rain barrel was one of the last things on my mind, but now that summer is rolling around I’m very happy that the folks at EarthMinded were kind enough to send me one of their new Rain Stations for review. If you expect rain barrels to serve as the primary means of irrigating a garden, to totally eliminate water shortages, or to single handedly save the environment; then you’re setting yourself up for a letdown. 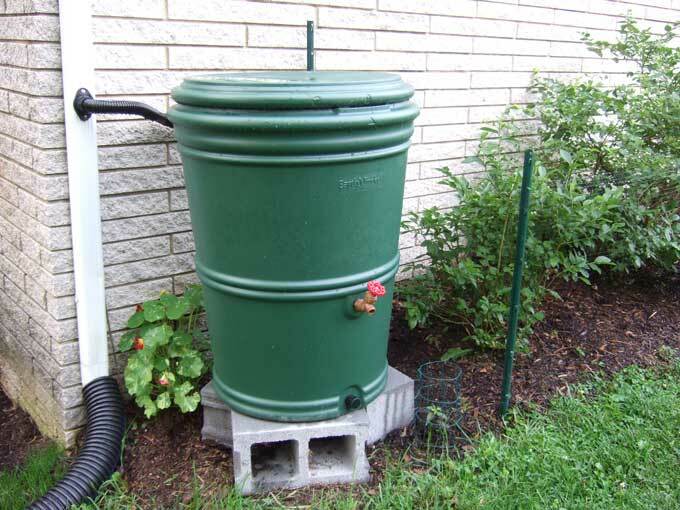 But if you are looking for a convenient supplemental water source that takes advantage of otherwise wasted rain water runoff and benefits the environment by recycling plastics; then a rain barrel system can turn out to be a great idea. Storing Distilled Rain Water – The impact that chlorinated water has upon garden plants is debatable, but there are specific instances when I definitely want to steer clear of treated water and a rain barrel allows me to do just that. Some of the applications where I prefer to use distilled rain water include; in the bog garden, when making compost, with products like soil amendments that contain living bacteria or micro-organisms, to apply foliar fertilizers, and in the fish pond. Making Use of Recycled Plastic – Some rain barrels are made out of recycled plastics, others utilize discarded materials like the 55 gallon drums that are used to package and ship certain food products. The barrels themselves have a long service life but I’m already planing to convert them into planters, or beds to contain plants like Lemon Balm that would spread all over the garden, once the barrels are no longer fit for water collection. Supplementing Water Sources – A rain barrel would never provide enough water to irrigate the entire garden but they are great for watering containers and patio plants, filling watering cans, and for the convenience of situating a water supply in places that you don’t have an outdoor faucet handy. Easing Environmental Concerns – In addition to causing problems with leaky basements, damaged foundations, flooding, and local watershed problems, water runoff is becoming a big issue for communities dealing with over burdened storm water systems. Rain barrels can become a part of the solution to capture and reduce the storm water runoff that is a growing problem for government municipalities. Now back to the EarthMinded Rain Station… I love this rain barrel, it was a breeze to install, works as advertised, and looks great alongside the house! Everything needed was included and the installation took much less than an hour from start to finish. I especially enjoyed that it features a removable lid that locks in place, and an integrated diverter that redirects the water flow back to the downspout once the rain barrel is completely full. If you’re interested in adding a rain barrel to your landscape check out the EarthMinded website for more details and information on the purchase, installation, and use of their lineup of RainStations that are both attractive and functional around the home and garden. When you are a bit crazy like we are… you get yourself 14 sixty gallon barrels and hook them up in sequences under downspouts around your home. 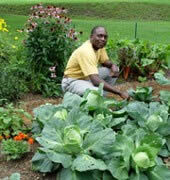 Then you raise the barrels up high, attach faucets and hoses and plant a huge garden which you mulch and mulch some more. And, you do have enough water to care for the needs of said garden. Did I say we were crazy? Kenny, great article and such an important topic. Thanks for raising awareness about water conservation. Me and my husband have had our EarthMinded rain barrels for over a year now and like you, we have been very happy with them. They are very practical and the manufacturers have thought of a solution to all the problems you normally have with rain barrels when they designed these rain barrels. They are very high quality too. Simple things like collecting rain water can make such a difference. Thanks for spreading the word. Thanks for sharing this, Kenny. I’m afraid I’m hopeless at storing rain water and it’s getting really tedious having to drag a hose pipe down to the end of my garden from the house (it JUST reaches!). I’d like to incorporate some of your ideas – I’d not heard of the Earth Minded Rain Station. Here in North Yorkshire, we’ve had some really hot sun (up to 40C) and a load of rain as well, but the month has generally been very dry and the veggies have suffered. I’ll look into a better system for watering – thanks for the inspiration. Oh.. just added you to my Twitter follower list! Kenny, thanks for sharing this. 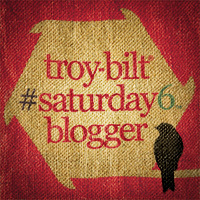 I wish more people would write about water conservation and the use of rain barrels. It’s so important. I wish more gardeners would consider the use of rain barrels. It’s really a no brainer. EarthMinded was a good choice. I have one and have been happy with it so far. 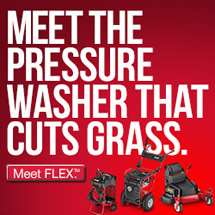 They are relatively a new company but their products are great. You can get them cheaper from their authorized resellers,fyi. Great article Kenny! Thank you. I am looking for a rain barrel. I’d not heard of EarthMinded before, I’ll check them out. My name is April and I am a representative with Gutterglove gutter guards. Our gutter guard product is actually used as a first stage filter in Rain Harvesting Systems–a similar water harvesting system! If you are interested in obtaining a reliable gutter guard to keep debris out of your gutters check us out at http://www.gutterglove.com! By using our gutter guard you will be utilizing an eco-friendly way to filter and reuse rainwater from your gutters! Great post. Sure wish we could get some rain here in OK. We have been without rain since the first week of may. @ Phyllis-I’m just as crazy as y’all are. lol Unfortunately, DH won’t let me put rain barrels on the front downspouts, so I’ve got 6 on the 2 back of the house downspouts, 5 more barrels, 2 trash cans a few 5 gallon buckets and 1 gallon jugs as extra holding capacity. Right now I can store 695 gallons of rain water. I intend on getting a few more trash cans/barrels for more holding capacity. While it’s been raining here at least once a week for the past few weeks, we went without any rain from April 27 till June 7-8th. My rain barrels kept my small garden flourishing during that time. I’m so thankful that I ran across a way to use the 55 gallon drums as I had them for 5 years but did not know how to hook them up. Not only that our county is going up on the sewer/water bill. I love the idea of saving and using the rain water to water plants and save money. 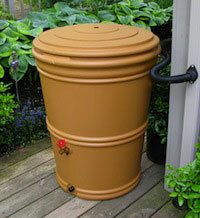 We purchased our Terra-Cotta RainStation from http://www.aquabarrel.com and added a solar power rain barrel pump too! We have identified a leaking problem with some spigots provided in EarthMinded RainStation rain barrel and DIY rain barrel kits. We are working with our supplier to insure that the problem is corrected for all future …production. As always we are committed to delivering quality product that helps to protect the environment and conserve our natural resources. We appreciate your support and apologize for any inconvenience caused. interesting article. I don’t have time to make one, and since the economy is so tough, I don’t want to buy one…..so for now, we just let containers sit out and when it rains, we pour it onto the garden the first time there is no rain, so it hasn’t sat out for more than a day. I am the director of environmental impact of http://GutterDome.com Storing Distilled Rain Water is a great way to get great tasting non chlorinated water. Our system works perfectly in preventing sediment from building up in your gutters thus giving cleaner rain water to start with.